I synced and my recipes disappeared! My recipes aren't syncing between devices. I am getting an "Authentication Needed" error when I try to sync. I accidentally created two accounts, how do I merge them? I'm getting the error message "You cannot reset your password" when trying to reset my password. How do I login to Paprika Cloud Sync with a different account? 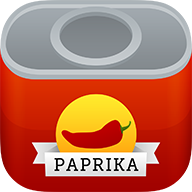 Is a Paprika Cloud Sync account required to use Paprika? If you receive a message which states "Authentication Needed" when you try to sync, please log out of Paprika Cloud Sync and log back in. This usually occurs if you have recently reset your password, or if for some other reason your keychain has lost the correct credentials needed to submit to our sync service. If that does not work, your device's keychain may be having problems. Please open a support ticket and provide the email address associated with your Paprika Cloud Sync account. I'm getting an "Invalid or expired credentials" error when syncing.